They've got lots of Kimbers on Bud's Gun Shop for less than $1000. I've never owned one but I've heard good things. They make some nice looking guns. If you're on this forum, I assume you like CZs. Have you thought about getting a CZ 97? These are built to a higher standard of fit and finish over your typical RIA manufacture. I have an early one and it's been great now since 2012. Very very Feed Reliable and very accurate for a 1911! I like the 97, and might get that eventually for a 45 but I want a 1911 because it's a classic. If your goal is simply to own a chunk of history, peruse the shops looking for an old GI or Colt and have some fun with it. 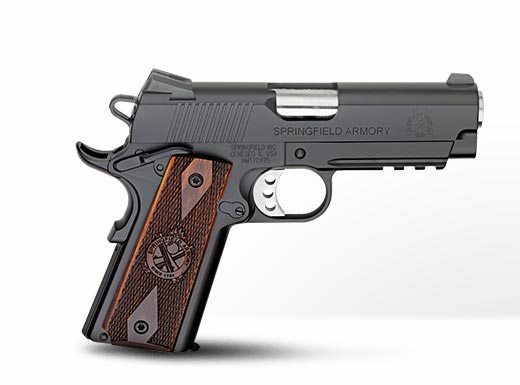 If you are looking for modern materials & good warranty, the Rocks and Springfield mil spec guns are great values and pretty true to the classic designs. Take a look at the Ruger line of 1911's. They are very nice for the money. I have a Colt 1911 Government model I've put thousands of rounds through and the Ruger 1911 Government model has been just as good with several thousand rounds fired through it as well. The Colt sports quite a few aftermarket parts where as the Ruger is straight out of the box stock. I'm kinda surprised no one has mentioned Sig 1911's. Sig makes quite a few sub $1000 1911's that are very nice. My Sig 1911 Tac Ops was my very first gun ever and it's great. Give them a look. Oops, my bad. Missed it. Hands down the best 1911 you are going to get for around $1000 is a Dan Wesson Heritage. There are a couple on GB in that range currently. The build and parts quality can't be approached by any other gun in that price range, with its forged frame and slide, tool steel parts, series 70 configuration, and sight quality. They are stainless only if that bothers you. The Springfield Range Officer is about the closest you will get but they are pretty rough compared to the DW, even though with some loving, polishing and tuning they are great shooters. But they still will lack the tool steel parts of the Heritage. Hiya Black and thx for the popular thread. Reminding ya to have your short list of favorites and go check pawn shops and gun shops that have consignments. Just like cars, if ya can handle it being pre owned, you reap the savings. Think my sig Natino was 1400, cz 1911 bout 2,200, and the cz 97b accu 1600, so just keep an eye out and make some offers when do do find one ya like. Only thing I didn't care for with the 45s is the mag capacity, felt like I was shooting in the Republic of California. Show and tell when you land it,please and thank you. Be well. While this might not be popular, Springfield when they had the previous owners made the best bang for the buck 1911. Now the local gun shop is going to stop carrying Springfield. A friend bought a 10 MM XD and 10mm 1911. I bought a compact 9mm 1911, all of them had problems that should have be caught in quality control. Their Customer service is ...err frustrated. Springfield has no custom shop, they will no longer fit or do much of anything except fix your POS. In todays situation, honestly Remington forgot how to make a shotgun, but I have fired 5 1911's from them....all sweet and malfunction free.